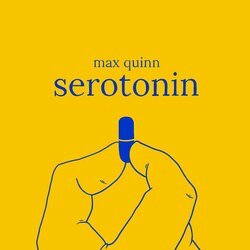 “I take my serotonin with a shot of chocolate milk.” The opening line of Max Quinn’s latest single, ‘Serotonin’, is an incredibly poignant and vivid launching point into a track that was written about depression, suicidal rumination, and recovery. The latest offering from the Sydney-based artist is released to coincide with World Mental Health Day. Quinn approaches the topic of mental health with passion, honesty and lived insight, neatly packaged into a powerful punk-rock song. Crafted to mirror the chaos and pressure that are common to episodes of poor mental health, the track is loud, dizzy, and a bit unhinged. It’s tied together with raw, thought-provoking poeticism, and a cheeky Powderfinger shoutout. ‘Serotonin’ was recorded and mixed by Dave Manton in Melbourne at Laneway Studios, and was tracked live by Quinn and band, with only vocal overdubs. Earlier this year, Max Quinn toured alongside Didirri and Eilish Gilligan, and has previously played shows with Ceres, Alex Lahey, Camp Cope and The Hard Aches. Details for a Sydney launch show will be announced shortly, where Max and band will premiere ‘Serotonin’ live, alongside other crowd favourites.